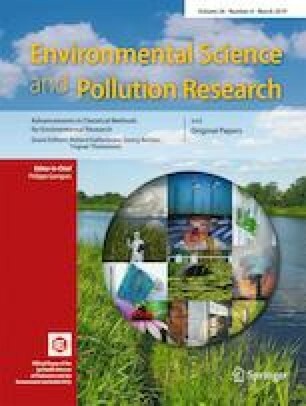 Because of the extensive use of phthalates for domestic, medical, and industrial applications, the evaluation of their toxic effects is of major concern to public health. The aim of the present study was to assess the propensity of di (2-ethylhexyl) phthalate (DEHP), one of the most used phthalates, to cause oxidative cardiac damage in mice. DEHP was administered intraperitoneally at doses of 5, 50, and 200 mg/kg body weight for 30 consecutive days in BALB/c mice. We assessed the effect of DEHP on cardiac injury using biochemical profile (such as aspartate aminotransferase (AST), alanine aminotransferase (ALT), lactate dehydrogenase (LDH), creatinine phosphokinase (CPK), total cholesterol (T-CHOL), triglyceride (TG), high-density lipoprotein cholesterol (HDL-C), and low-density lipoprotein cholesterol (LDL-C)), parameters related to myocardiac oxidative stress, such as malondialdehyde (MDA) level, protein carbonyl (PC) concentration, and DNA fragmentation. In addition, we evaluated antioxidant status; enzymatic (catalase (CAT) and superoxide dismutase (SOD) activities) and non-enzymatic (protein-bound sulfhydryl concentration (PSH)) antioxidants. Acetylcholinesterase (AChE) activity and histopathological changes were also assessed in heart mice treated with DEHP. Our results showed that DEHP induced an elevation of serum marker enzymes and perturbated the lipid profile. In addition, this phthalate increased lipid peroxidation, protein carbonyl levels, and DNA fragmentation in the heart in a dose-dependent manner. Antioxidant status was also perturbated by the increase of the CAT and SOD activities and the decrease of the protein-bound sulfhydryl concentration. AChE activity was also inhibited in the heart following the treatment with DEHP. These biochemical alterations were also confirmed by histopathological changes. Increased free radical production at various doses of DEHP would result in impairment of the redox status leading to an enhanced dose-dependent cardiotoxicity.